Star Wars Battlefront II patch 1.0 is being deployed on PC/PS4/XO as we speak and we’ve got the full patch notes. 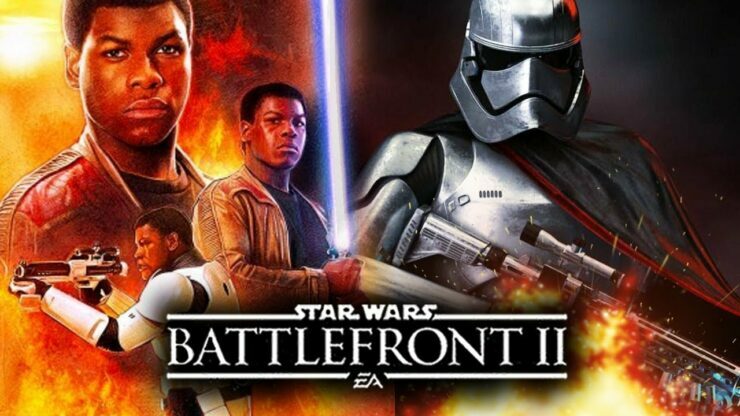 The Season 1 update, which introduces new content inspired by the Star Wars: The Last Jedi movie, weighs in at roughly 10GB on Xbox One. In addition to the new Last Jedi content, the patch offers a major balance pass for Heroes, and features improvements to game stability as well as improved logic to detect idling players. We’ve included the full release notes for Star Wars Battlefront II Patch 1.0 down below. – Finn joins the Resistance. A skilled soldier, Finn now uses his training to protect his allies at any cost. Finn charges into battle and deals precise damage blazingly fast to any enemies who dare stand in the way. – And then we have the imposing commanding officer of the First Order: Captain Phasma. Few are more feared than Captain Phasma as she uses every tool at her disposal to ensure victory. Iden Versio is back in the Resurrection DLC! She is searching for answers, while the secrets of a First Order conspiracy are revealed. This DLC contains three new campaign chapters that continue Iden’s saga in the Star Wars universe. On the mineral planet Crait, the First Order has trapped a group of Resistance fighters at what was once a Rebel Alliance outpost. You’ll see the First Order escorting the massive AT-M6 while Resistance fighters in ski-speeders attempt to stop them. As you recall from The Force Awakens, D’Qar is the principal base of the Resistance. Now experience an incredible space battle over that planet as the First Order attacks, threatening to wipe out the base, and the Resistance, once and for all. To spice up the space battle, we have also launched a new hero ship – Tallie Lintra’s RZ-2 A-wing. For Poe Dameron, there is a new hero ship upgrade for his T-70 X-wing. Star Wars Battlefront II is available now for PC, Xbox One, and PlayStation 4. Check Christian’s review to find out why it’s still a good game despite the known issues.